Fornarina, a relative newcomer to U.S. fashion retailing, was named the 2004 Store of the Year in the Institute of Store Planners/VM+SD International Store Design Competition. Winners in the 34th annual edition of the competition were unveiled at an awards dinner Monday night at the Puck Building in New York. Architect Giorgio Borruso (Marina del Rey, Calif.), another relative newcomer to U.S. retail, designed the award-winning project, in Mandalay Place, intended to be a peaceful oasis in the Las Vegas bustle. "We broke the mold in Las Vegas," says Borruso. "It's an aggressive, risk-taking place, and so we did things here Fornarina has never done before." Judges responded to the store's wildly innovative use of shapes and materials, colors and textures. For the first time in several years, U.S.-based projects dominated the judging, hosted this year by the Chicago chapter of ISP. Among the domestic category winners that vied for Store of the Year honors were the Borusso-designed Paul Frank store at South Coast Plaza in Costa Mesa, Calif.; Bloomingdale's new SoHo store in New York; Barneys New York's Chelsea Passage home accessories department in its Madison Avenue flagship store; the World of Disney renovation on Fifth Avenue in New York; the Reds Team Shop in Cincinnati; a new REI store in Portland, Ore.; a Bass Pro store in Bossier, La. ; Bellanotte, a restaurant in Minneapolis; a Heavenly Ham Market Café in Gainesville, Fla.; Sheetz, a convenience store in Altoona, Pa.; and a new Lane Bryant concept at Easton Town Center in Columbus, Ohio. Steve Kaufman, editor of VM+SD, and Russ Sway, international president of ISP, served as co-hosts for the awards dinner. The event was concurrent with the National Retail Federation Convention and Expo that's being held at the Jacob K. Javits Convention Center. 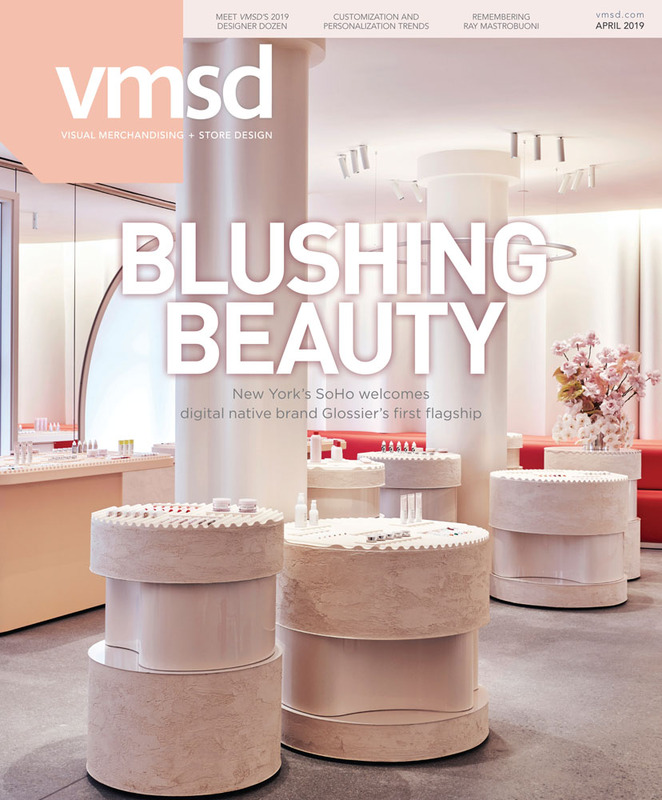 Coverage of the first-place winners in the competition will appear in the February issue of VM+SD. Design Team: Giorgio Borruso, Marina del Rey, Calif. Specialty Store, Sales Area Under 1500 Sq. Ft. Retailer: The Paul Frank Store, South Coast Plaza, Costa Mesa, Calif.
Design Team: Giorgio Borruso Design, Marina Del Rey, Calif. Specialty Store, Sales Area 1500 to 3000 Sq. Ft. Specialty Store, Sales Area 3000 to 5000 Sq. Ft. Retailer: Mickey’s Star Traders, Lake Buena Vista, Fla.
Design Team: Walt Disney Imagineering/Global Retail Store Development, Lake Buena Vista, Fla. Specialty Store, Sales Area 5000 to 10,000 Sq. Ft. Specialty Store, Sales Area 10,000 to 50,000 Sq. Ft. Specialty Store, Sales Area Over 50,000 Sq. Ft. Retailer: Bass Pro Shops Outdoor World, Bossier City, La. Design Team: Bass Pro Shops Inc., Springfield, Mo. Retailer: Heavenly Ham Market Café, Gainesville, Fla. Retailer: Pick Up Stix, Corona, Calif. Retailer: Saratoga Springs, Lake Buena Vista, Fla.
Design Team: Echeverria Design Group Inc., Coral Gables, Fla. Retailer: Mariposa Restaurant at Neiman Marcus, Newport Beach, Calif.
Design Team: Charles Sparks + Co., Westchester, Ill. Retailer: TerraVida Coffee Concept, Shoreline, Wash. Retailer: Home Economist Market, Charlotte, N.C.
Design Team: Little Diversified Architectural Consulting, Charlotte, N.C. Retailer: Sheetz Convenience Restaurant, Altoona, Pa.
Design Team: Twenty Four * Seven, Portland, Ore. Retailer: Elmhurst Toyota, Elmhurst, Ill. Retailer: JM Lexus, Margate, Fla.
Design Team: Pavlik Design Team, Ft. Lauderdale, Fla.
Design Team: Apple Computer Inc., Cupertino, Calif.
Design Team: Monastero & Associates, Cambridge, Mass. Retailer: Apple Mini Store, Palo Alto, Calif.
Oklahoma City, Okla.; Savannah, Ga.